Scraping slough is dusty work when we've had so little rain! Got Kids? Want to ride? Learn how to get our blog articles delivered to you when they are published! As CORBA’s president for the past two years it has been my honor to represent the interests of backcountry trail users in the common goal of cooperative shared use open space trails. As of January 27 I resigned my position as president, but will continue to act as secretary as well as being on the board of directors. I felt that it was time to allow new and fresh leadership to guide CORBA moving forward. I am happy and very excited to announce that CORBA’s vice president Steve Messer has accepted the nomination to president. 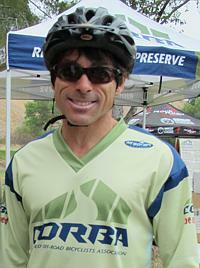 Steve brings an incredible wealth of volunteer experience with the Angeles National Forest mountain bike patrol and trail crew, as well as heading up trail work with CORBA’s trail crew. As a CORBA board member for the past four years Steve has written numerous documents pertaining to a variety of shared use trail issues. I have every confidence that Steve will completely represent CORBA’s interests at the various land management and public meetings that we attend on a monthly basis. I can assure you that that this transition will be seamless and will not effect the operation of CORBA in any way, except to reinforce our resolve to keep pressing to gain as much access to our public trails as possible. Onward! Got kids? Want to ride? 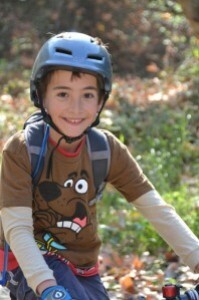 CORBA’s Kids Club has been bringing families with a common interest in cycling for the past three years. Kids Club rides are tailored to giving kids and their parent/s a great outdoor experience, and sharing that experience with other families. The rides are easy, fun, and we like to include some interpretive component, talking about the wildlife and plants, our public lands and the trails themselves. We’d also like to extend our sincere thanks and best wishes to Kat Ross, who has spearheaded the Kids Club since its inception three years ago. We are looking for a few volunteers with kids of their own who would like to organize and lead Kids Club rides for other parents and their kids. Ideally. 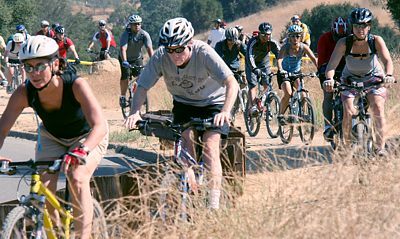 we’d like to have Kids Club rides at least four times per year in different locations in the Santa Monica Mountains and beyond. If you’re interested in leading a ride and meeting other families with similar interests, please email info@corbamtb.com, and let us know. This web- and email-based publication, the eTerraTimes, will be only published every other month from now on. Future important messages will be sent by email, rather than using the eTerraTimes to distribute them. The purpose of this change it to reduce the workload on the volunteers who put this newsletter together. Upcoming Rides: Visit our Meetup Calendar to see all the rides and other activities! Children must be over 7-years old to attend, and children under 14 must be constantly and directly supervised by their parent or guardian who brought them. February 16, 2014: Strawberry Peak. For full details and to register, see our registration page. February 23, 2014: Space Mountain (Los Robles Trail West) in Thousand Oaks. CORBA will be having a rare Sunday work day to complete work on the switchbacks of Space Mountain. We'll be doing treadwork, installing/cleaning drainage nicks and removing slough. For full details and to register, see our registration page. March 22, 2014: COSCA Spring Trailwork Day. 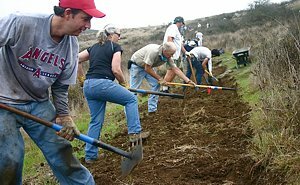 We don't yet know exactly what work we'll be doing, but we expect to be working on a new trail somewhere in Thousand Oaks on this annual work day, so save the date! 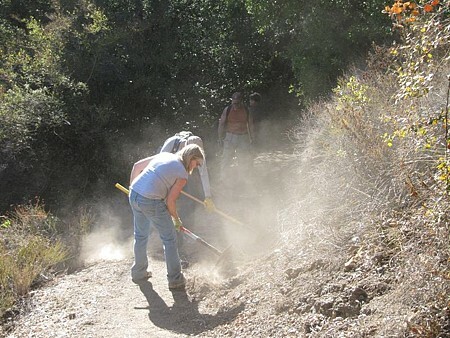 April 25 - 27, 2014: Annual Santa Monica Mountains Trailwork Days in Point Mugu State Park. Plan to help fix up the trails in Sycamore Canyon on Saturday and/or Sunday, win great swag and, if you want, camp overnight at Danielson Multipurpose Area. We'll post more details as we learn them. Saturday February 1st is the next skills clinic.